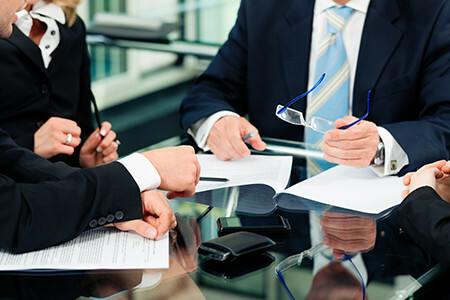 When you choose to file a lawsuit, you are then tasked with finding a lawyer. Not only does the lawyer themselves matter, but the businesses they work for can play a part in the way they do business. Big law firms are typically home to dozens of lawyers while boutique law firms house just a few. These larger firms typically offer legal services in every area of expertise while boutique law firms will only offer services in a few, like business law, insurance law, and appeals. Both types of firm structure will be able to supply quality legal support, but depending on your needs and type of case you might lean towards one or another. To help understand the differences between boutique law firms and big law firms, here are 4 reasons to choose a boutique personal injury law firm. When a lawyer works at a big law firm, they are encouraged to pick one area of expertise and stick with it. This doesn’t give them much flexibility, and doesn’t give them much experience. When they work with a boutique law firm, like a personal injury law firm, they can hand select the cases they work on and even offer special arrangements if they are particularly passionate about one case or client. When you need a lawyer and go to a large law firm, it’s almost impossible not to find some kind of client conflict. Whether a party involved works for that entity or that entity themself is responsible, this legal conflict makes it impossible to provide unbiased support. It also makes it much harder for big law practices to bring in new business. A boutique law firm has greater flexibility, and for that reason is much more likely to accept pro bono cases and cases with greater social implications. While big law firms may not see these cases as financially lucrative and pass, a boutique law firm will see it as valuable experience and extremely gratifying. In boutique law firms, lawyers tend to focus more on the art of law rather than the financial payoff. In a big law firm everything is standardized. There are guides and codes of conduct for every situation, case, and interaction to maximize profits and increase productivity. While these guides ensure a standard quality of care and no time is wasted, it can stifle creativity and limit communication. If you are looking for a more hands on, custom approach to your case, you may want to consider using a boutique law firm. Need a Personal Injury Law Firm in Austin? With over ten years of legal practice, Josh Davis can provide the legal expertise you need to win. We understand that no two cases are the same and treat every new trial with the same level of attention and dedication. Our expert lawyers are pleased to be serving the residents of Austin and the surrounding area, and have an incredible track record. With more than 20 appellate victories and even more trials won, we have been recognized as one of the best personal injury law firms in Texas.